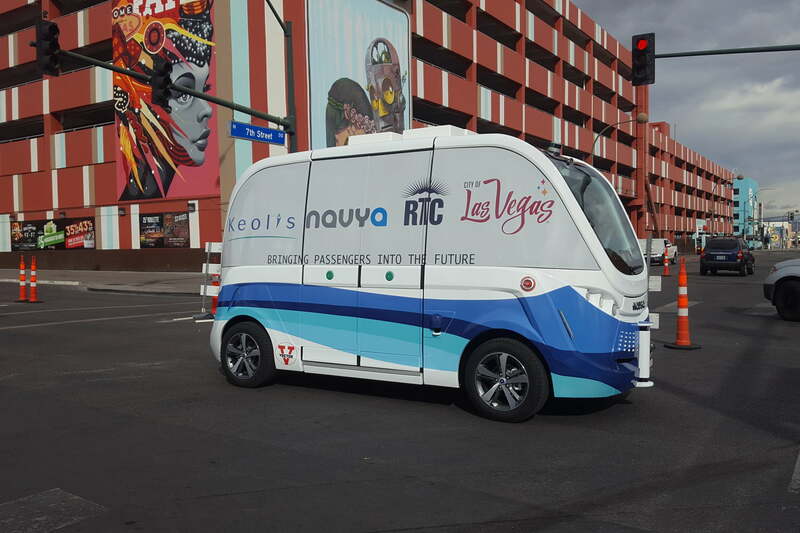 Visitors to Vegas scuttling between the city’s many attractions can now hop inside an autonomous shuttle bus to take them to their next stop. It’s touted as the “first completely autonomous, fully electric shuttle ever to be deployed on a public roadway in the U.S.,” a claim that appears to overlook Uber’s Pittsburgh-based efforts. The initiative is the work of city officials and French firm Navya, who designed the driverless vehicle, dubbed Arma. Keolis, a global provider of public transportation systems, is also involved. The shuttle will tootle along a designated stretch of the city’s famous Fremont Street until January 20, and anyone can use them. It holds up to 12 riders and can reach a decent 27 mph, though for the trial period it’ll be limited to a more leisurely 12 mph. As with other vehicles of its type, Arma uses a variety of systems to help it move safely along, including radar and GPS technology, the Las Vegas Sun reported. If the trial proceeds smoothly, a permanent service could be introduced by early fall, the city said. Running costs are estimated to be around $10,000 a month, though this is expected to be covered by revenue generated by ads on the shuttle’s exterior, as well as inside on screens. While riders can travel for free this month, the permanent service may include a fee if ads fail to generate enough income. Arma was unveiled in the city’s Innovation District that launched last year in downtown Las Vegas. The purpose of the District is to offer a space for testing groundbreaking technology in areas such as transportation and alternative energy. Officials are hoping that as regular host of the CES tech extravaganza, as well as the SEMA auto show, firms developing driverless car technology will be persuaded to take their work to the Nevada city.